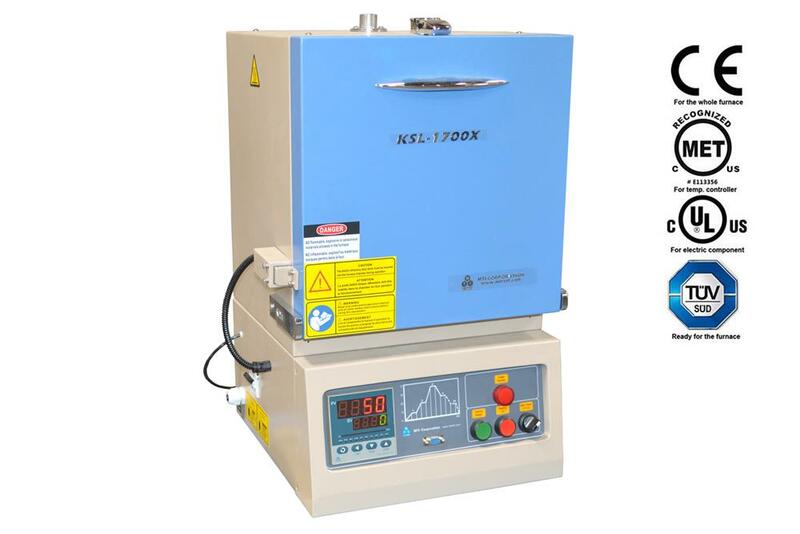 KSL-1700X-S-UL is a CE certified and is ready to pass TUV(UL61010) or CSA certification compact high-temperature muffle furnace designed for maximum energy saving ( <1kW at 10 oC/min). 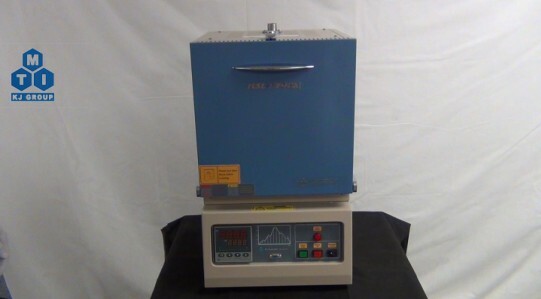 It is an ideal tool for annealing and sintering materials in research or dental labs. 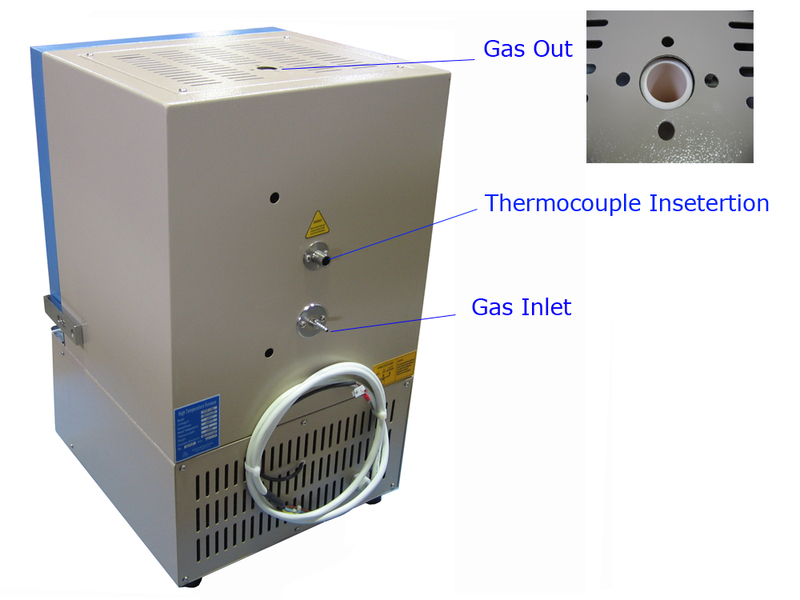 The built-in gas inlet (back) and venting port (top) for gas-controlled heating treatment. FA-YD518P-AG temperature controller is included. MTS02-Y Temperature control software kit (for YD518P series controllers) + 15" laptop package is available at the options bar. Click for the detail information about the MTS02-Y software kit. You may upgrade the temperature controller to the Eurotherm 3504 Temperature Controller which is fully compatible with LabVIEW. 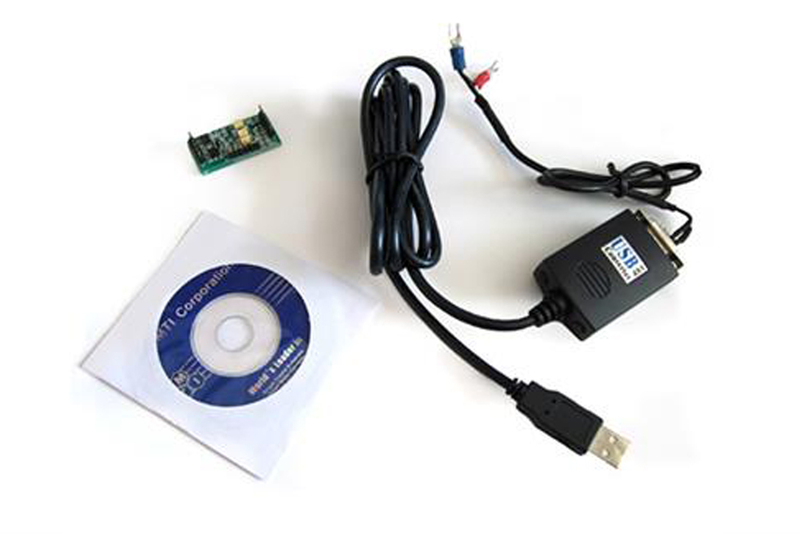 This package includes a Eurotherm 3504 programmer, a communication cable (RS485 - USB) and a software CD. 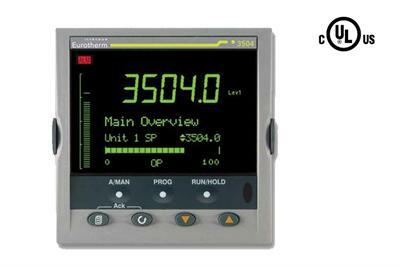 Click the pic below to view the full spec of Eurotherm 3504 temperature controller. Labview Based Temperature Control System (EQ-MTS01) enables user to edit temperature profile, manage heat-treatment recipe, record and plot data for MTI furnaces. 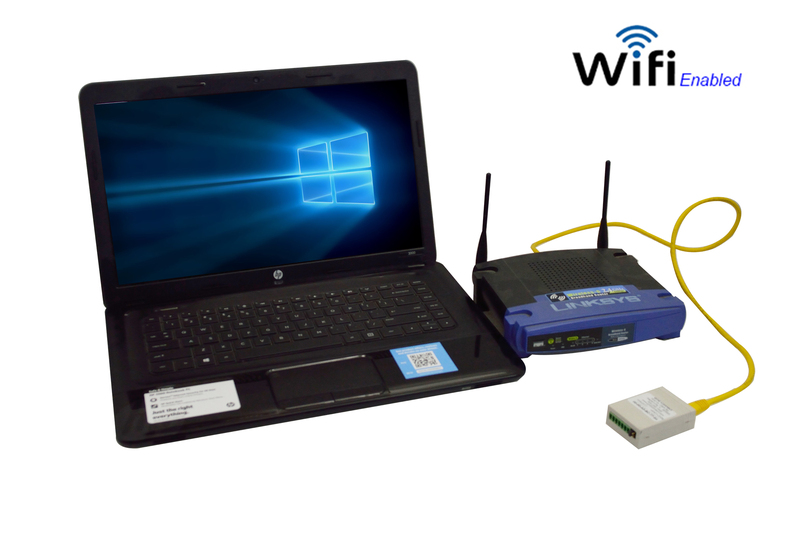 A wireless remote control provides up to 300 meters operating range. Above features are available upon request at an extra cost (up to $1,000). Please contact us for more information. ATTENTION: Any damages caused by the use of corrosive and acidic gasses are not under the coverage of MTI One Year Limited Warranty. NRTL or CSA certification is available upon request at the extra cost. The cooling rate shall also not exceed 10 °C /min. 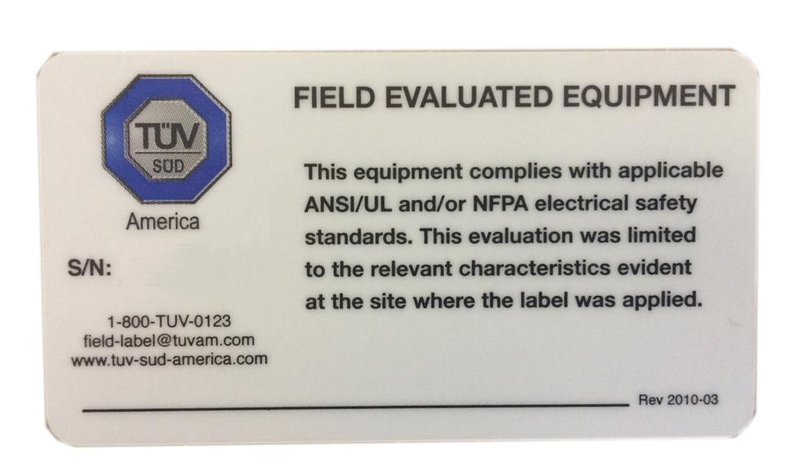 This furnace lacks vacuum sealing, and it is not recommended to use toxic or explosive gasses in this furnace without necessary safety controls and supervision. Small cracks may appear on the surface of the refractory ceramics with overuse. This is a normal occurrence and the cracks may be repaired with alumina coating. The refractory block must be inserted before closing door (click the picture on left for details).